Stroll down memory lane with your neighbors and share stories of what it was like to grow up in Altadena in the 1960s and 1970s. 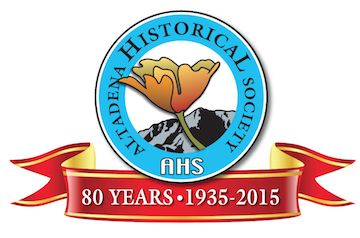 We're celebrating "Altadena Then and Now", a photo exhibit that features the images of Altadena eccentric Leon Ricks. Leon documented parts of Altadena, in particular the north Lake Avenue area, for more than forty years. Twenty of his early photos are on display next to photos of the same view today. "Everyone is invited to stop by, enjoy this fantastic exhibit of 40 photos and exchange their Altadena stories and memories," said Meredith Miller, Webster's Community Pharmacy co-owner.